COMMENTS: motorcycle series since 2010. 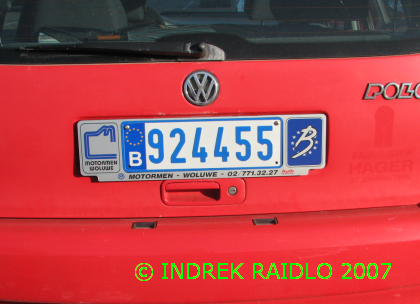 Plate style since 2010. 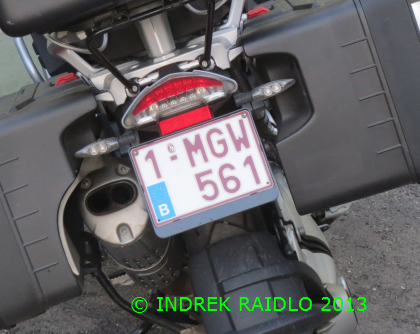 M=motorcycle. COMMENTS: motorcycle series from 1965 to 2010. 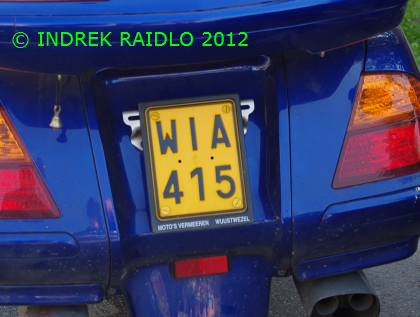 W=motorcycle (from 2006 to 2010). COMMENTS: motorcycle series from 1965 to 2010. 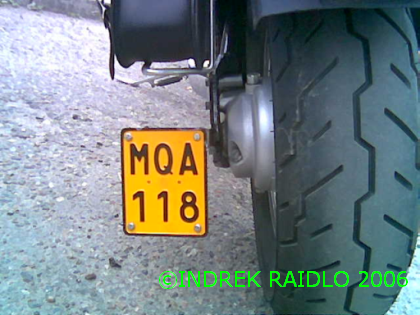 M=motorcycle (until 2006). COMMENTS: diplomatic series since 2010. 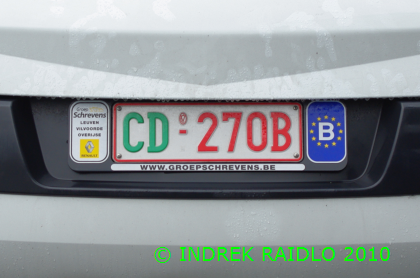 Plate style since April 2014. No coding. COMMENTS: diplomatic series since 2010. 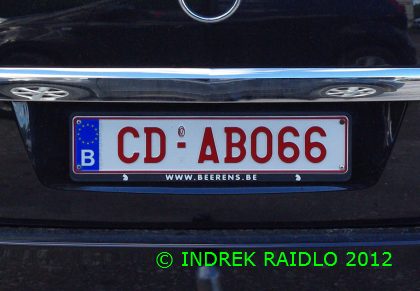 Plate style from 2010 to April 2014. No coding. COMMENTS: diplomatic series from 2008 to 2010. 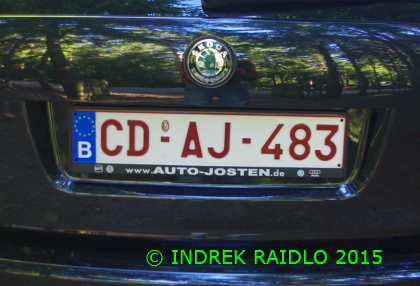 Plate style from 2008 to 2010. No coding. COMMENTS: diplomatic series from 1994 to 2008. 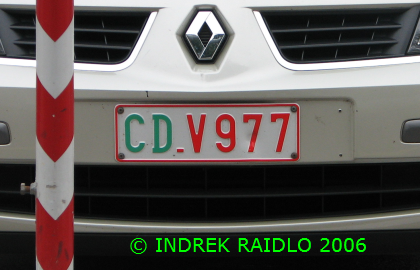 Plate style from 1999 to 2008. No coding. COMMENTS: diplomatic series from 1994 to 2008. Plate style from 1997 to 1999. No coding. COMMENTS: international organizations personnel plate series from 2001 to 2010. Plate style from 2001 to 2010. COMMENTS: international organizations personnel plate series from 2001 to 2010. Plate style from 2001 to 2010. 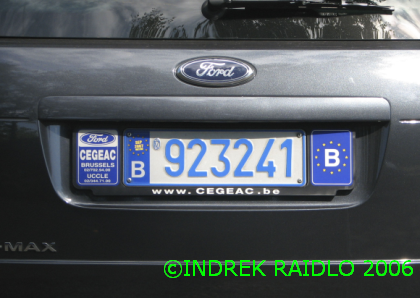 Numerals in french style. 1. 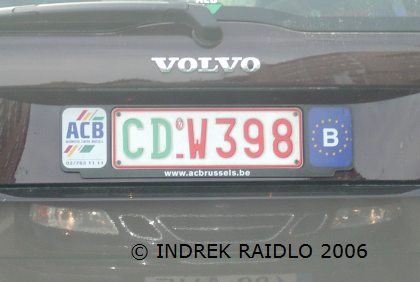 Belgian euroband for international organizations' plates until 2010. SEP 2007 probably indicating the validity of the plate.